If you’re a millennial in India, you’d definitely remember the heart racing Pulsar commercials by Bajaj Auto. The Pulsar brand has been one of the first to spearhead the culture of leisure motorcycling in India. After that, two-wheelers were no longer just a means of transportation- it became an extension of the rider’s character. The Pulsar NS 160 has similar design elements as the NS 200. 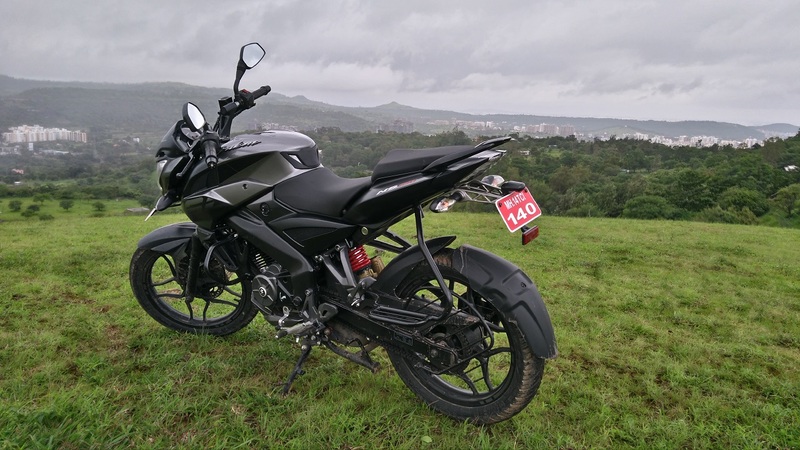 Bajaj has the rather conservative-looking Pulsar 150 in the sports commuter segment for a long time now. But the current generation youth are more inclined towards stylish naked street motorcycles with adequate performance to boot, and that’s where the Pulsar NS 160 comes into play. The bike competes against well-established players in the segment like Suzuki Gixxer, Honda CB Hornet 160R and the Yamaha FZ- S Fi. What makes it stand apart from the rest is primarily the inclusion of perimeter frame and an oil-cooled engine. When it comes to looks, this motorcycle is essentially the baby brother of Pulsar NS 200. The headlight is the same unit as found in the 200cc sibling, and the meaty perimeter frame hugs the muscular 12-litre fuel tank. The split seats with the rear-set foot pegs complement the clip-ons to give a sporty riding posture. The high-set tail goes well with the sleek number plate holder. The only grouse is that the bike lacks a fat rear tyre. The meaty tyre-hugger does try its best to gel the design but it can only deceive so much. 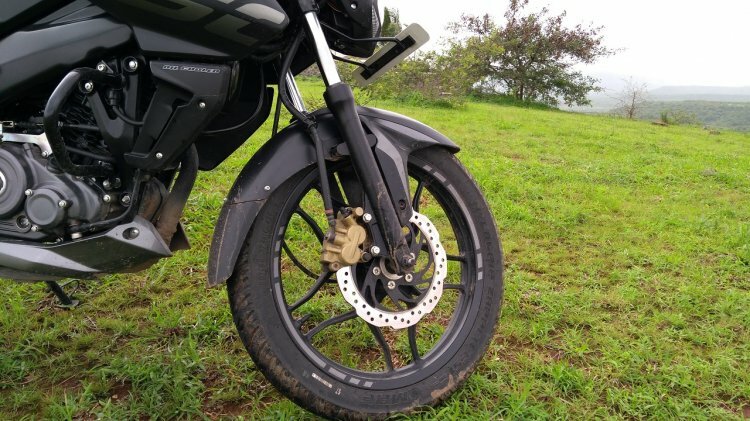 There’s a reason why Bajaj chose to go with a skinnier tyre, but more on that later. The butch front end is complemented by the slim rear. The minimalistic saree guard doesn't intrude into the design of the bike. Coming to the instrument cluster, it’s laid out in a typical analogue-digital combo fashion with legible readouts. The digital unit displays the speed, odometer and dual trip meter readings, apart from fuel level, time, side-stand and maintenance indicators. The bike also features a rev-limiter light but lacks a gear-shift indicator. Instead, you get an illuminated Bajaj logo which doesn’t do much apart from giving bragging rights to the brand. The illuminated switchgear is of good quality. However, the indicator switch is tricky to use with gloves as it doesn’t give a pronounced click when being operated. I had to look at the instrument cluster every time to make sure it’s cancelled. Powering the Bajaj Pulsar NS 160 is a 160.3cc air and oil-cooled engine which churns out 15.3 bhp of power at 8,500 rpm and 14.6 Nm of torque at 6,500 rpm. The powerplant is based on the Pulsar AS 150 but has been heavily reworked to suit the character of this bike. The oil-cooling and the increased stroke have resulted in enhanced bottom-end torque. The powerplant is mated to a five-speed transmission with the first couple of gear ratios spaced closely. Thanks to the torque, the fifth gear is quite tractable and pulls right from 30 kmph with nary a struggle. This makes it effortless to often ride at top gear and could aid in efficiency. 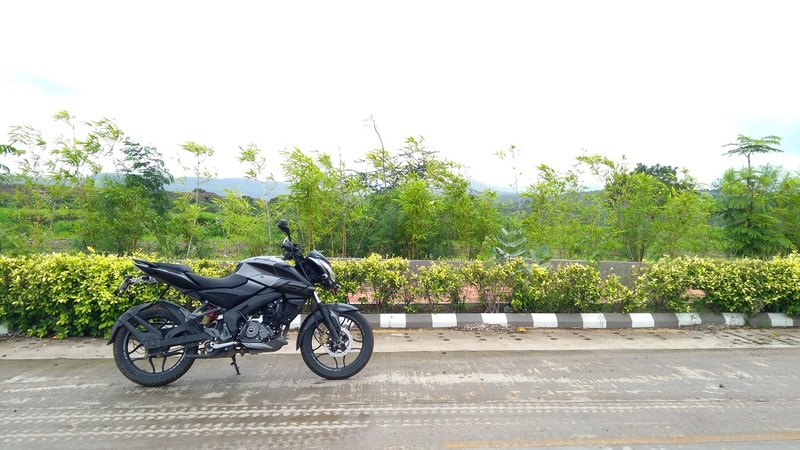 The bike can comfortably cruise at 80 kmph with the tacho hovering at 6,500 rpm. But the vibrations post 7,000 rpm becomes a tad intrusive, particularly at the seat, which is a bit odd. Barring the high-speed vibrations, the engine has enough grunt to propel the bike to triple-digit speeds, if required. The underbelly exhaust note is subdued at low rpms but gives a nice raspy note when the throttle is wrung hard. 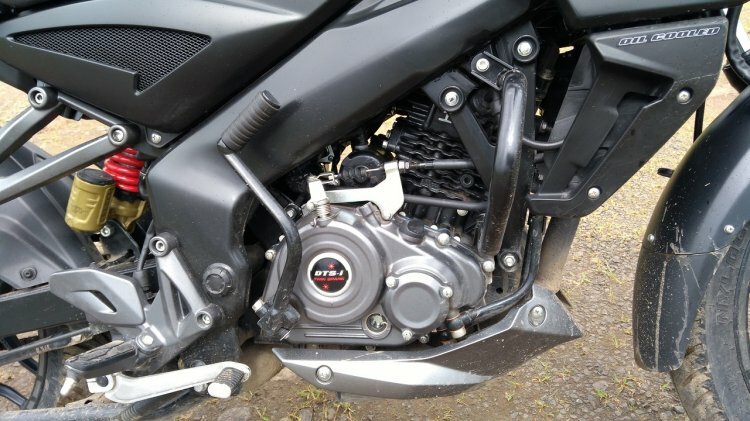 The suspension duties in the Pulsar NS 160 are taken care by traditional forks at the front and a Nitrox monoshock at the rear. The set-up is nicely sprung in such a way that the bike doesn’t get unsettled while going over bumps and potholes. The 240mm front petal disc and the 130mm rear drum work together to offer progressive bite and commendable feedback. Further enhancing the bike’s handling are the MRF Nylogrip Zapper- FS1 front and Zapper C rear tyres. Sure, at 80/100x17 front and 110/80x17 rear, they may not look that impressive either on paper or looks, but they offer a surprisingly good amount of grip through corners, even on wet roads. The boffins at Bajaj have prioritised function over form and it seems to have worked well for them. The 142kg kerb weight and the 1363 mm wheelbase ensure good stability on the highways as well. Bajaj has blessed the Pulsar NS 160 with the right ingredients to make it an ideal youth-centric city commuter. 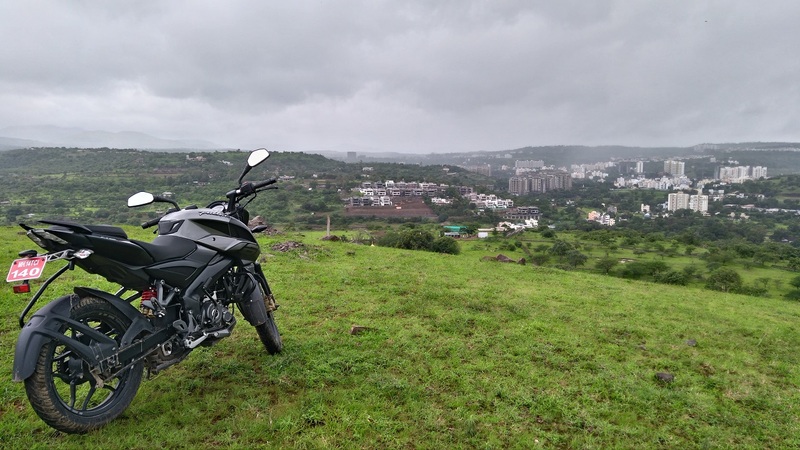 Its peppy performance, reassuring handling and Naked Sport looks impressed us in our brief ride. The distinct advantage of having an oil-cooled engine and agility-enhancing perimeter frame could work well in its favour, in the segment. Competitively priced at INR 78,368, ex-showroom, Delhi, the bike has the potential to be a formidable performer in the segment.